An immaculately presented three bedroom maisonette located in the heart of ‘Abbeville Village’, benefitting from a large, fully landscaped, private garden including a modern summerhouse. CB Williams Property is pleased to offer this immaculately present three bedroom maisonette for sale. Located on Bonneville Gardens in the heart of ‘Abbeville Village’ and extending to 1170sqft of living accommodation, the property benefits from a large, fully landscaped, private garden including a modern summerhouse. 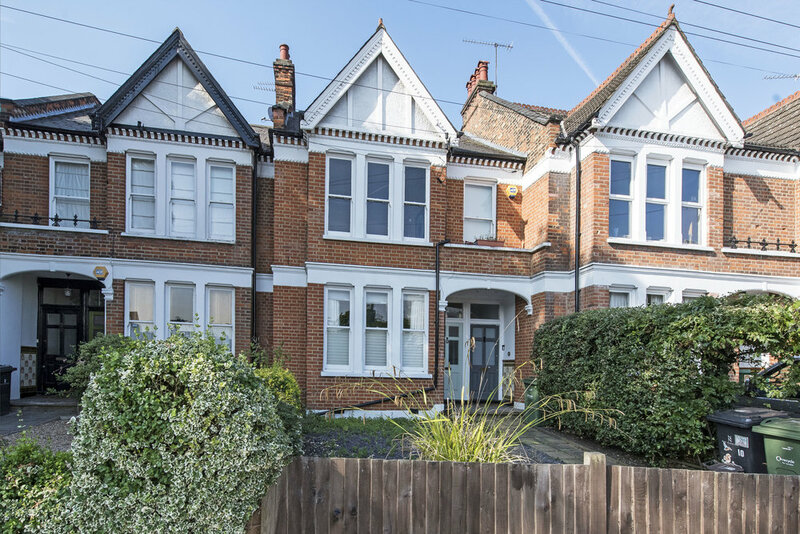 The property has undergone extensive refurbishment which includes full rewiring of the electrics, full new heating and plumbing throughout with doubling of hot water capacity and relocation of boiler and water systems into the loft space. New oak engineered wood flooring has been used throughout the property with full sound insulation. Original features including cornicing and ceiling roses have been reinstated and the original doors within the property have all been refurbished as well as the original windows being fully refurbished. The entrance to the property is approached via a front garden. The private front door opens into an entrance area which leads upstairs to a large hallway. Leading from the hallway there is a good sized reception room with original fireplace. Two bedrooms also lead off the hallway as well as a family bathroom with underfloor heating and large walk in shower. 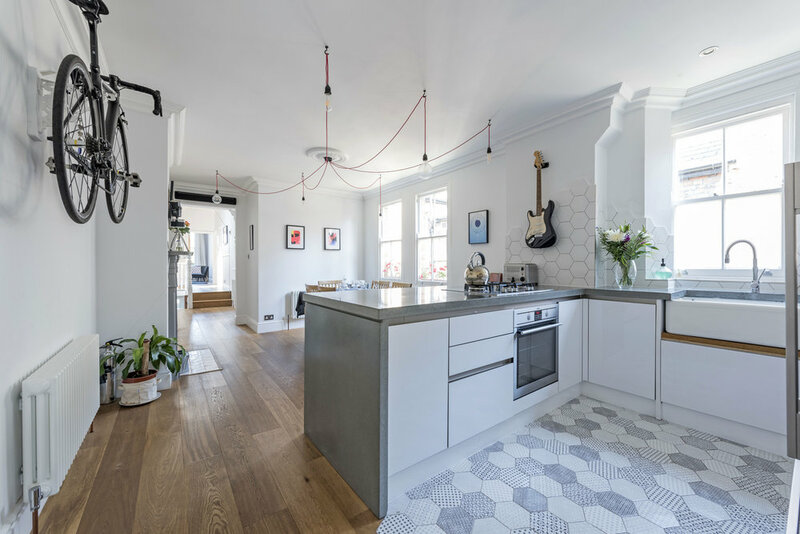 To the rear of the property there is a large kitchen dining room which benefits from a custom-cast polished concrete worktop, integrated modern appliances, underfloor heating and original Royal Doulton butlers sink. In the dining area there is custom designed lighting as well as an original fireplace with gas connection and the original built in dresser. A further bedroom is located at the rear of the living accommodation and a private staircase leads to the rear garden. The private rear garden enjoys a south westerly aspect and is set within mature surroundings and hardly overlooked by neighbouring properties. 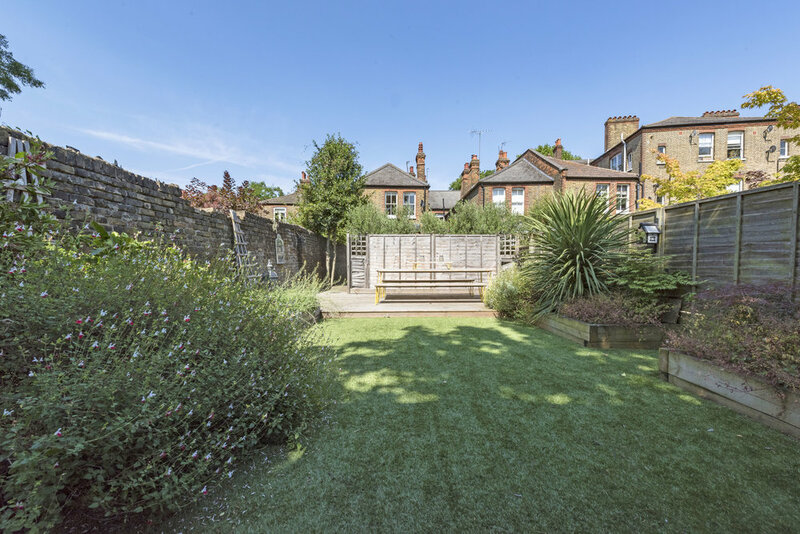 It has been fully landscaped to incorporate planted raised flower beds using railway sleepers, vegetable patch, decked dining area as well as an ‘Easigrass’ lawn. There is a modern summerhouse/workshop with mains electricity, WiFi connectivity and internal and external lighting: perfect for summer parties! Bonneville Gardens is located in the popular Abbeville Village, with all the shops, restaurants and cafes of Abbeville Road and the large green expanses of Clapham Common only moments away. There are exceptional transport links into central London via The Northline Underground stations of Clapham South and Clapham Common. The area also benefits from good local bus services.